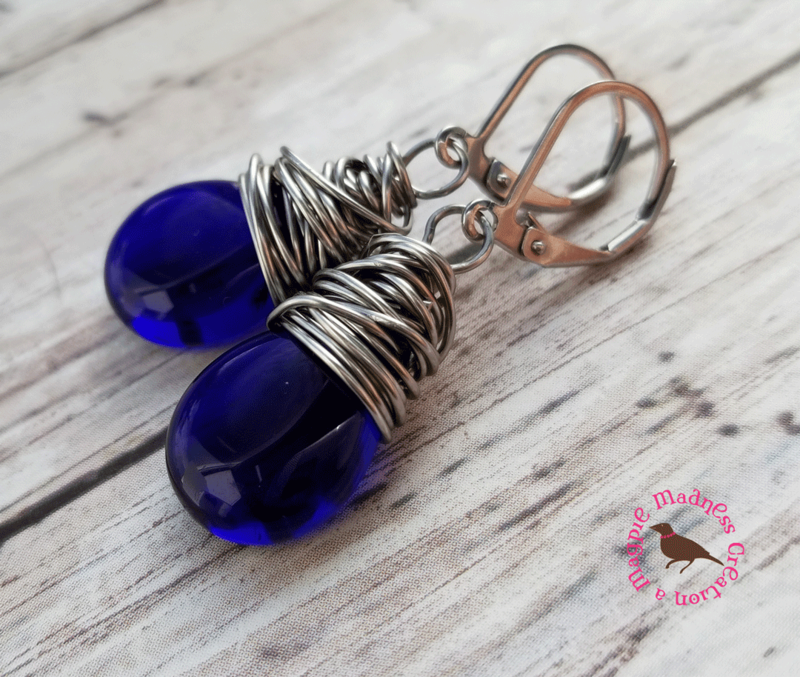 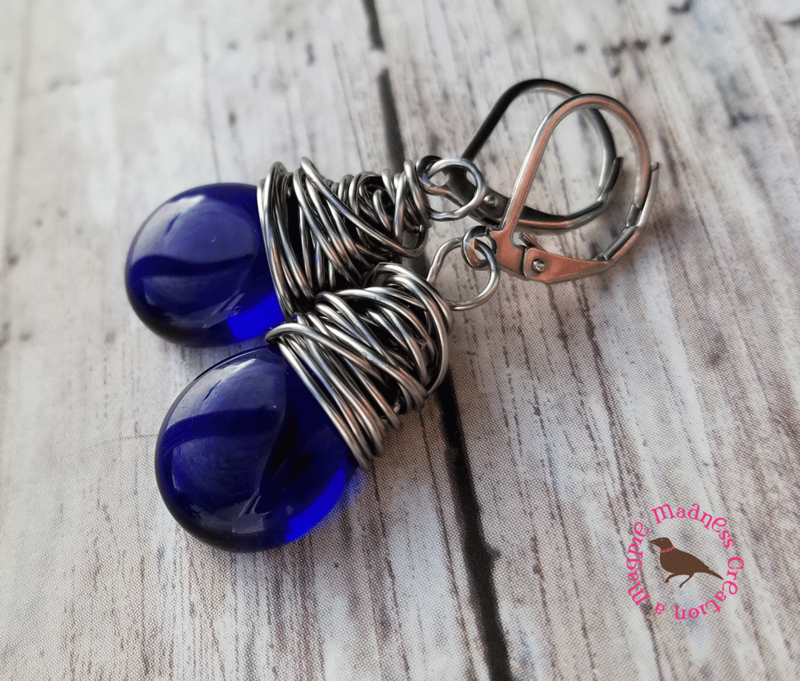 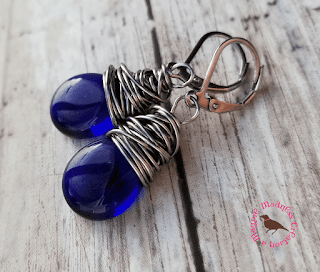 Take a look at my Translucent Cobalt Glass Teardrop Earrings. 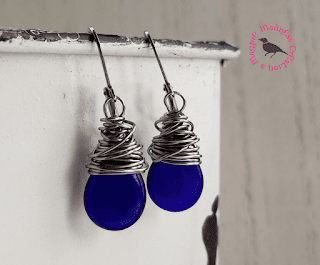 Love this color--how the blue bottle glass catches light and radiated color. This blue is stunning. I wire wrapped each teardrop in antiqued silver wire and hung from hypoallergenic surgical steel earwires--your choice.